MOSCOW, April 7. /TASS/. Only 23 out of 59 cruise missiles fired from US warships at a Syrian air base hit the target, according to Russia’s data recording equipment, Defense Ministry spokesman Major-General Igor Konashenkov said on Friday. "The combat effectiveness of the US massive missile strike on Syria’s airbase was thus very low," the ministry's spokesman stressed. "According to the data recording equipment, only 23 missiles reached the Syrian air base. The place where the other missiles fell remains unknown," the spokesman said. Russian radar data show that the Tomahawk missiles were fired from the US destroyers Porter and Ross in the Mediterranean between 03:42 and 03:56 Moscow time, the general said. The Syrian army’s air defense system will be reinforced in the near future to protect the most vital infrastructure facilities, Konashenkov assured. In 2016, several batteries of Russia’s air defense system S-300 were moved to the naval logistic facility at Tartus to provide protection for the base and Russian ships off Syria’s shores. Russian Defense Minister Sergey Shoigu said a multi-tier defense system had been created around Tartus and the Hmeymim air base. At the end of November the newest air defense system S-400 was delivered to Syria after a Turkish F-18 fighter shot down Russia’s Sukhoi-24 bomber. Pantsir systems protect Russian military facilities from low-flying aircraft and missiles. Also, the defense of Russian facilities incorporates the system Bastion, capable of hitting naval and ground targets 350-450 kilometers away. 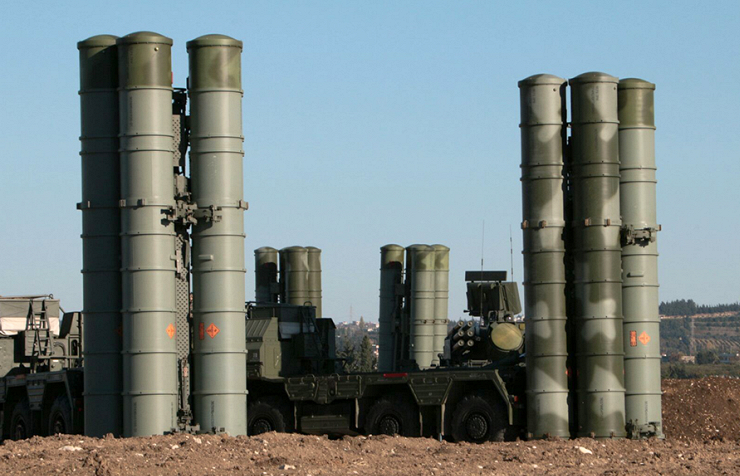 Russia has helped Syria to restore the operation of its S-200 air defense systems that protect Russian bases from potential attacks from the east. Also, the Syrian army uses air defense systems Buk. The US missile strike in Syria had been planned in advance, while the chemical weapons incident was used just as a pretext, Konashenkov noted. "It is obvious that the US cruise missiles attack on the Syrian air base had been planned well beforehand," he said. "For any specialist it is clear that the decision to conduct the missile strike on Syria had been made in Washington long before the events at Khan Shaykhun, which were used a far-fetched pretext. The show of military muscle stemmed exclusively from internal political motives," the ministry's spokesman added. The Russian Defense Ministry has suspended cooperation with Pentagon on the prevention of flight incidents over Syria. "We consider these steps taken by the United States to be a blatant violation of the 2015 Memorandum on preventing military incidents and ensuring security during operations over Syria’s airspace," the ministry's spokesman said. "The Russian Defense Ministry is suspending cooperation with Pentagon aimed at the implementation of the memorandum." "To protect the most sensitive facilities of the Syrian infrastructure, a set of measures will be taken in the immediate future to reinforce and raise the effectiveness of the Syrian armed forces’ air defense system," he added. 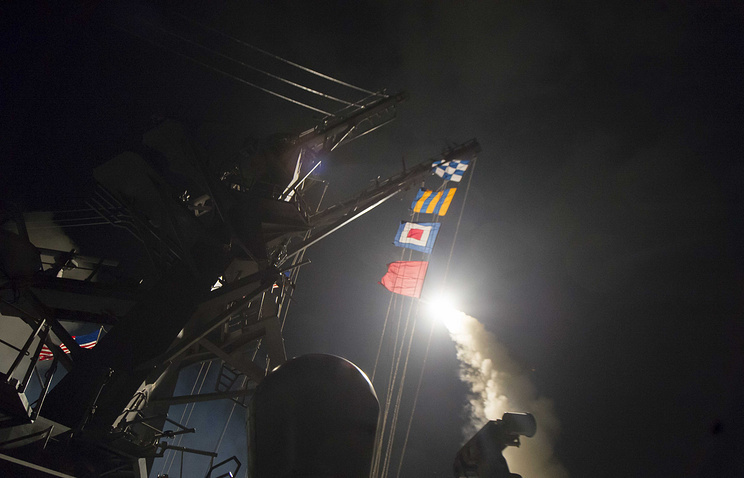 The US missile attack killed four Syrian military servicemen, while several more were wounded or went missing. "According to the air base command, two Syrian servicemen went missing, while four were killed and six sustained burn injuries while extinguishing the fire," Konashenkov said. At the same time, according to the Syrian army command, the attack killed six people. According to the Russian Defense Ministry, six Mikoyan MiG-23 fighter jets, a radar station and other equipment have been destroyed. "The strike destroyed a logistics warehouse, a training building, a canteen, six MiG-23 planes in the repair hangars and also a radar station." "The runway, taxiways and parked planes of the Syrian Air Force have not been damaged," the spokesman noted.